Satsuma trees will soon be planted around downtown and Old South Baton Rouge and their fruit will be available for anyone to pick. Two local groups, Baton Rouge Green and Slow Food Baton Rouge, are collaborating on an initiative called “City Citrus,” where they’ll plant fruit trees in unused spaces around town to offer a free public food source. Representatives from the two groups described the project, called City Citrus, at a Downtown Development District meeting Thursday. The idea came from the Lamar Advertising Company, which is funding the initial pilot program and allowing the trees to be planted on unused space underneath Lamar’s billboards, said Maggie Conarro, a gardening and orchard coordinator with Slow Food Baton Rouge. Conarro said the groups are planning to start with about 15 to 20 trees at three locations: N. 10th Street and Main Street, St. Ferdinand Street and South Boulevard, and Highland Road and Mickinley Avenue. They’re planning to plant the trees in late February or early March. They’re starting with satsumas because they’re easy to care for, Conarro said. 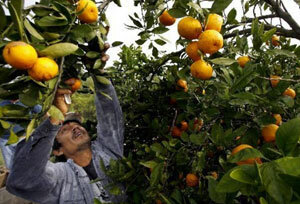 But the initiative could expand to lemons, figs, persimmons or other types of trees. Conarro and Robert Seemann, program director at Baton Rouge Green, are looking for individual volunteers or organizations to “shepherd” the sites and help plant and care for the trees. For more information, visit the City Citrus website. The original article appeared on Nola.com. 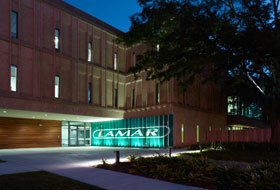 The American Institute of Architects (AIA) selected Lamar Advertising Corporate Headquarters as one of the 2013 recipients of the Institute Honor Awards, the profession’s highest recognition of works that exemplify excellence in architecture, interior architecture and urban design. Lamar Advertising Company (Nasdaq: LAMR), a leading owner and operator of outdoor advertising and logo sign displays, announced today that its wholly owned subsidiary, Lamar Media Corp.